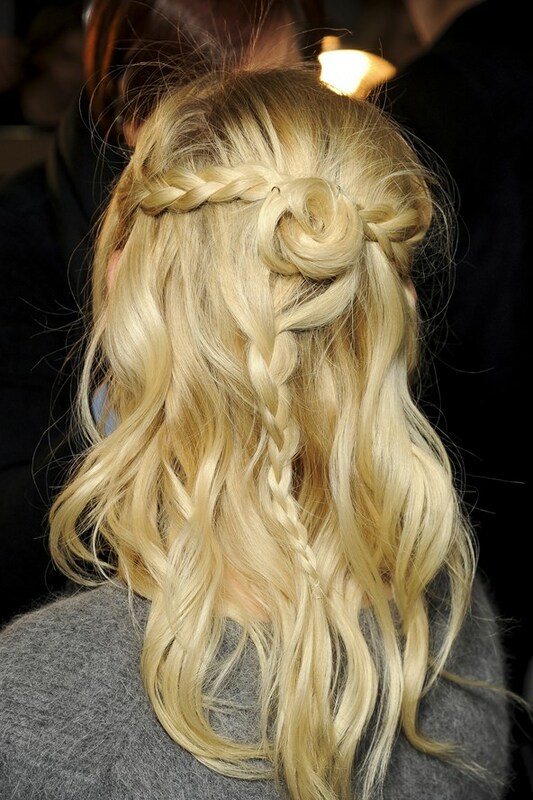 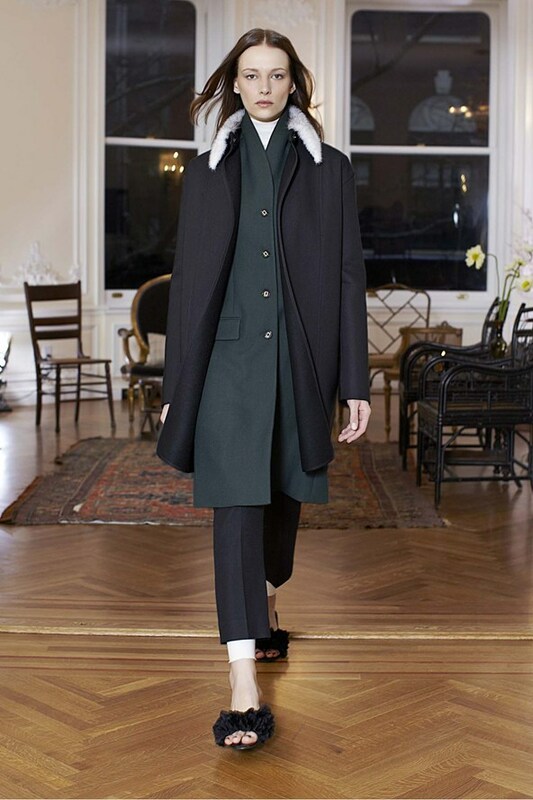 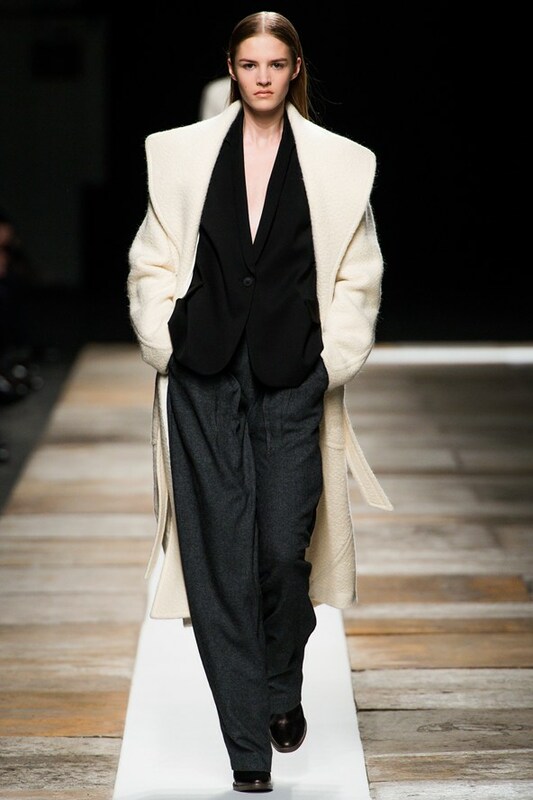 Olivier Theyskens’s Fall 2013 RTW collection for Theyskens’ Theory was all about volume. 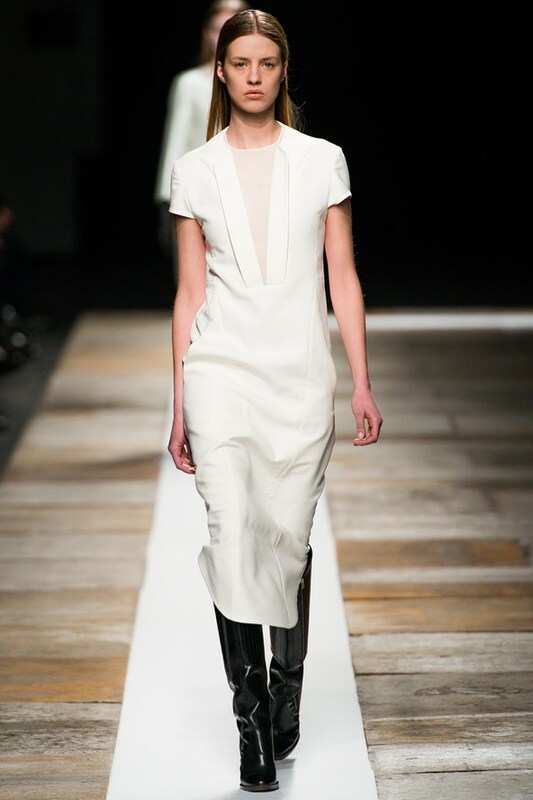 The designer worked a lot of space into a series of short trapeze and cocoon dresses with a mostly black, grey and white palette. 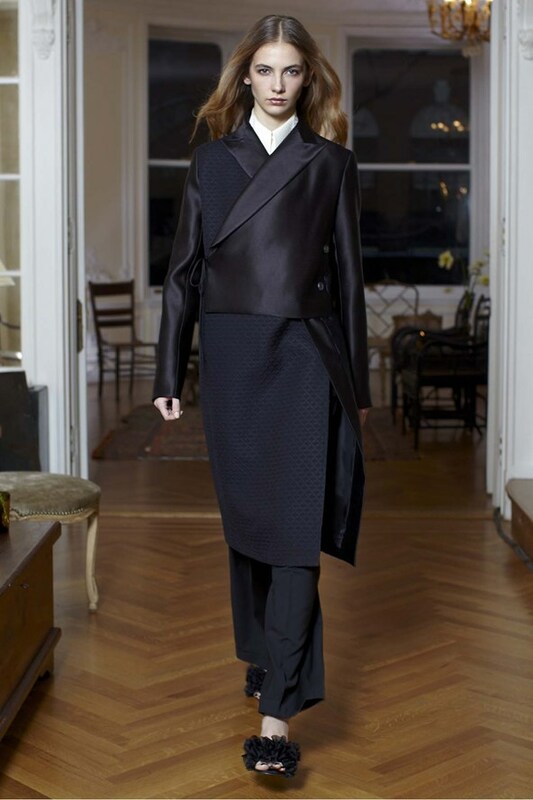 The first look, a sharply tailored blazer and leather shorts combination set the silhouette for the show. 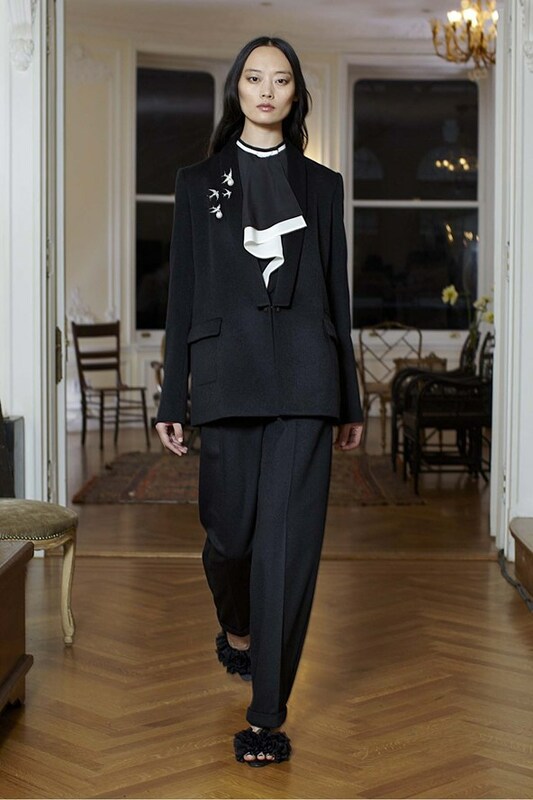 It was power suiting for the modern woman. 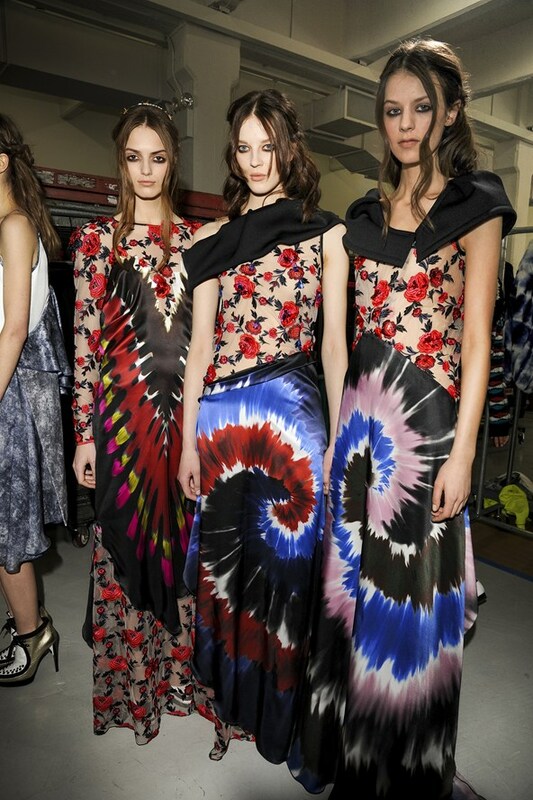 Kate and Laura Mulleavy’s soulful and affecting Rodarte show was inspired by dreams of their California childhood. 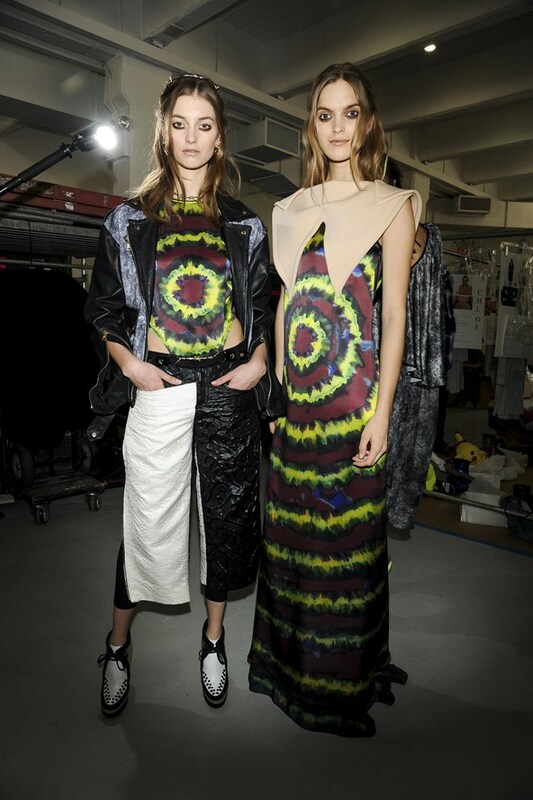 As Kate explained backstage, “We wanted to capture our memories of Santa Cruz: It’s a very personal collection.” It was grunge and it was gothic, Nineties and theatrical, skate culture, LA surfers, fairytale princesses and Eighties street kids. 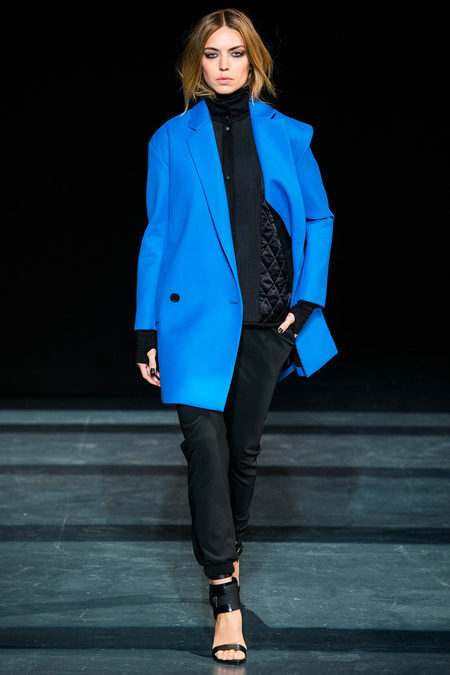 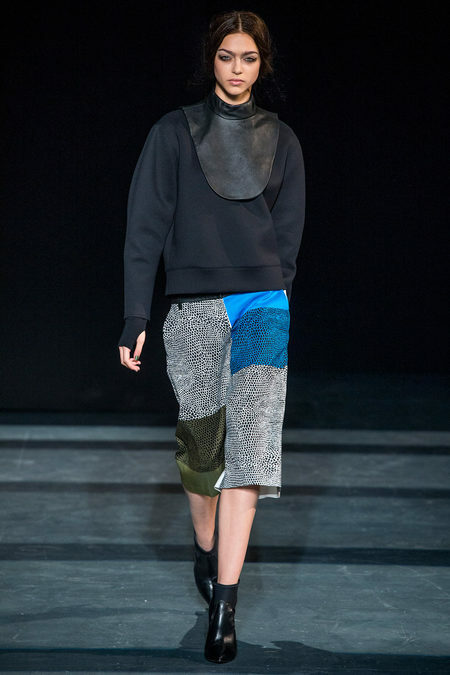 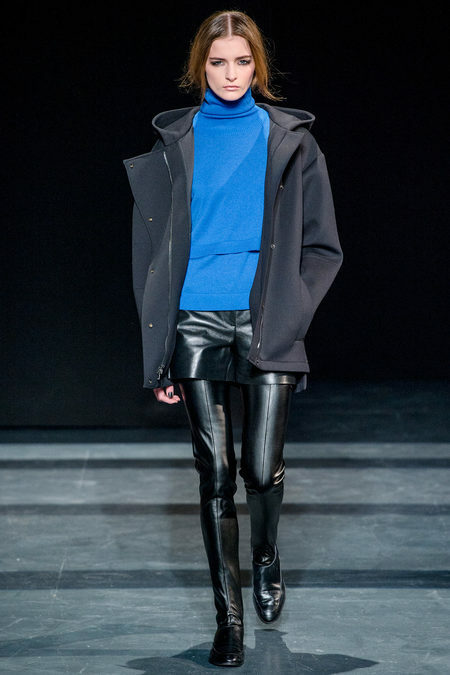 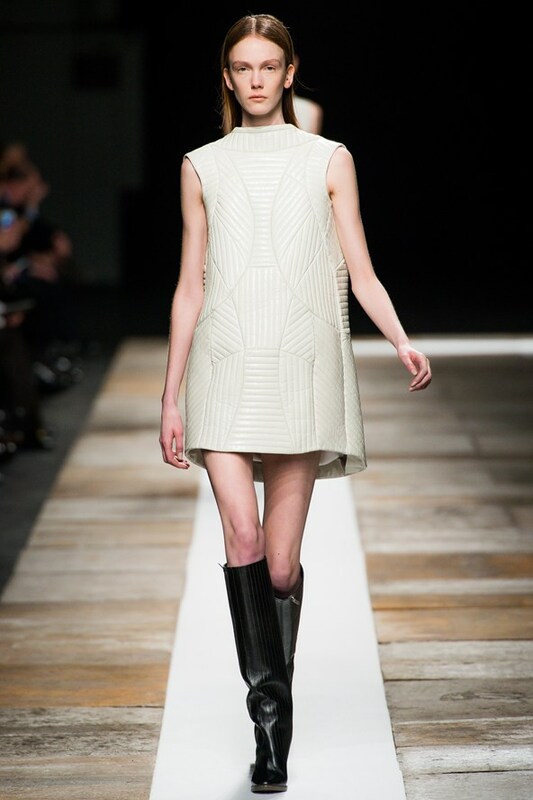 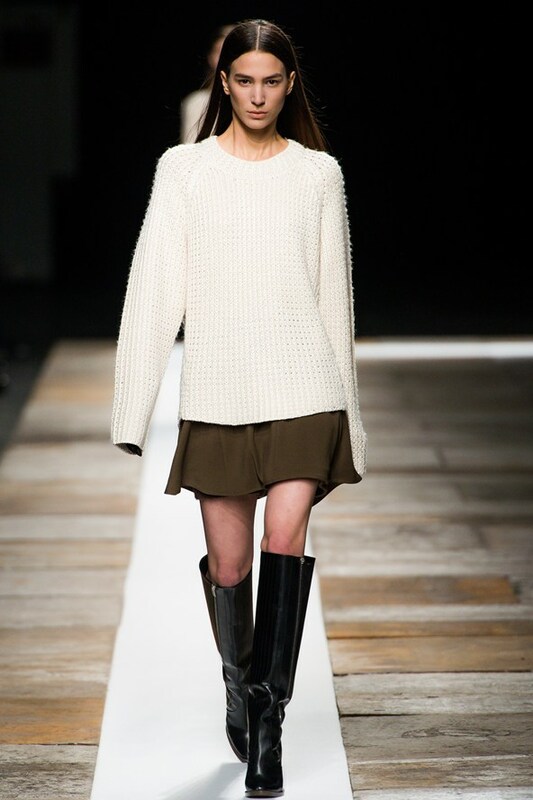 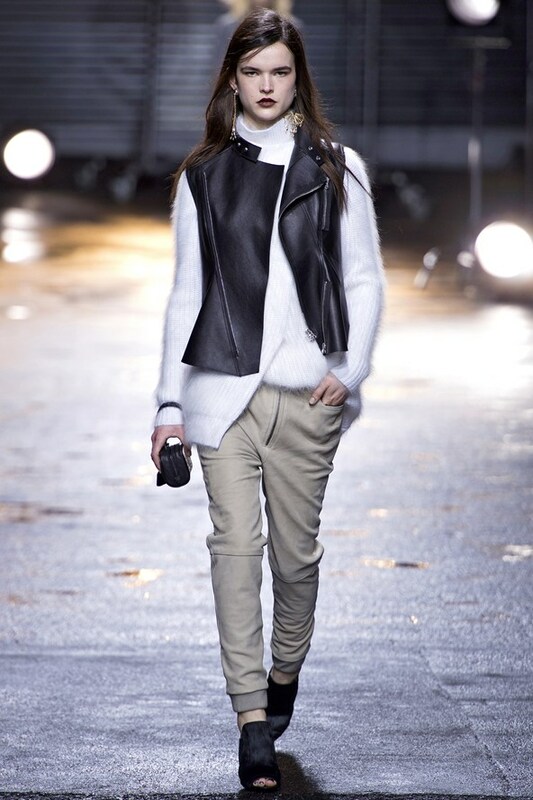 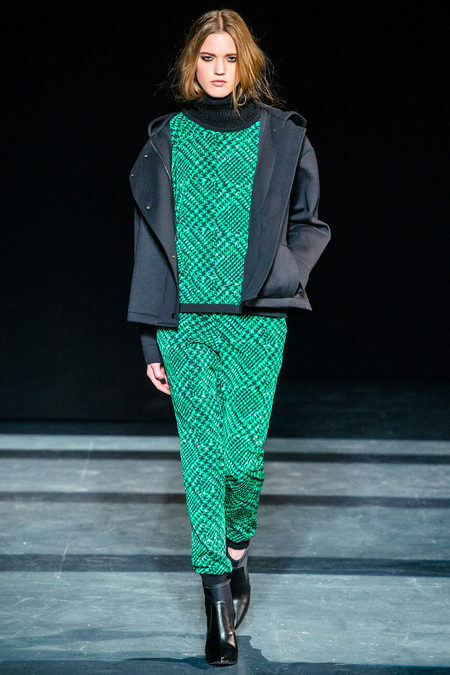 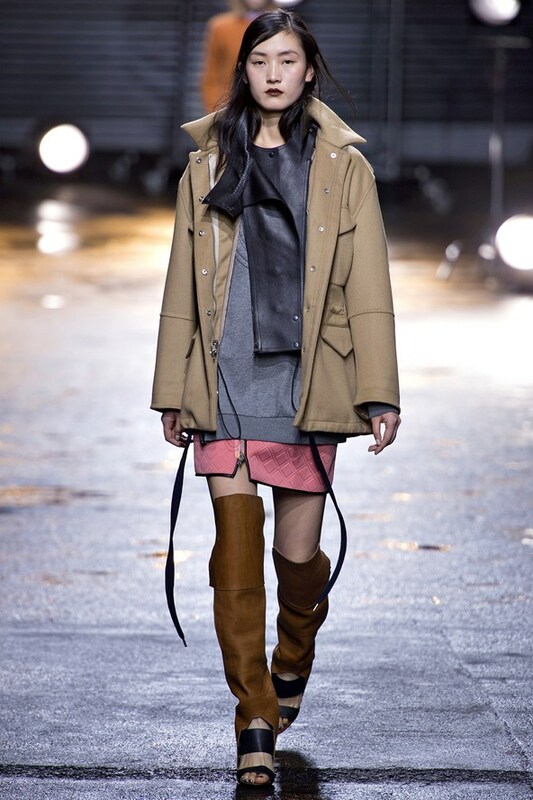 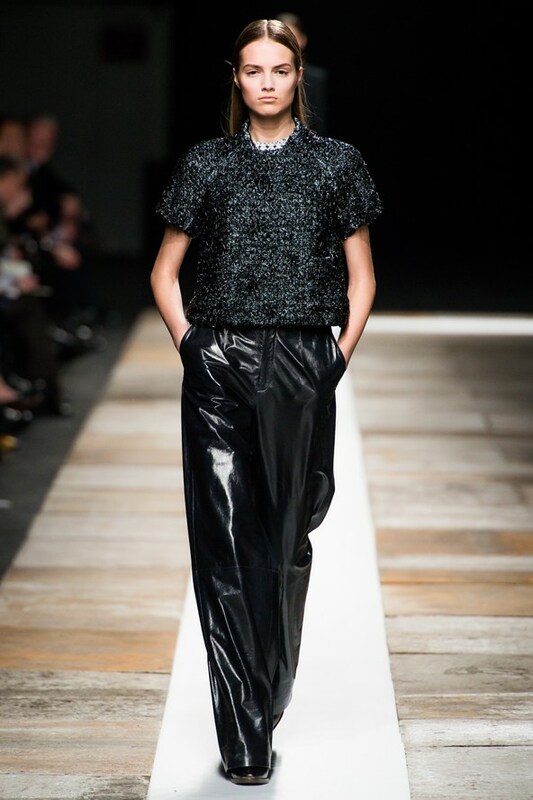 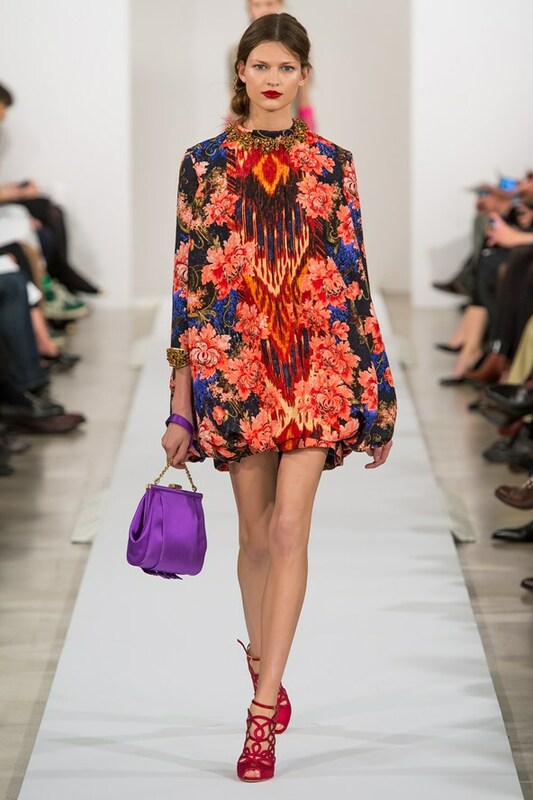 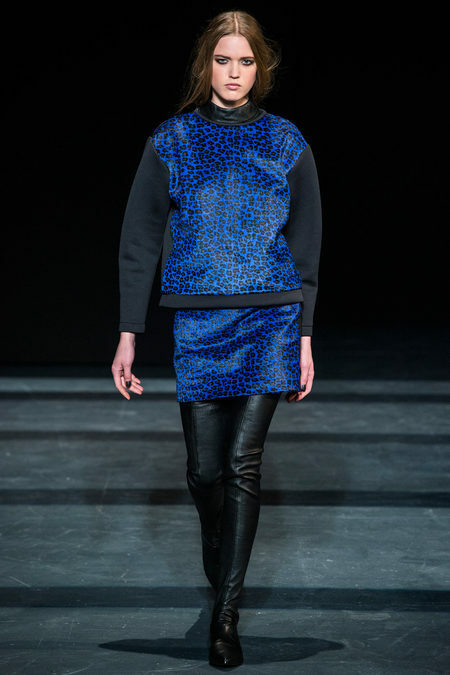 Cool, contemporary and feminine is what 3.1 Phillip Lim delivered for a/w 2013. 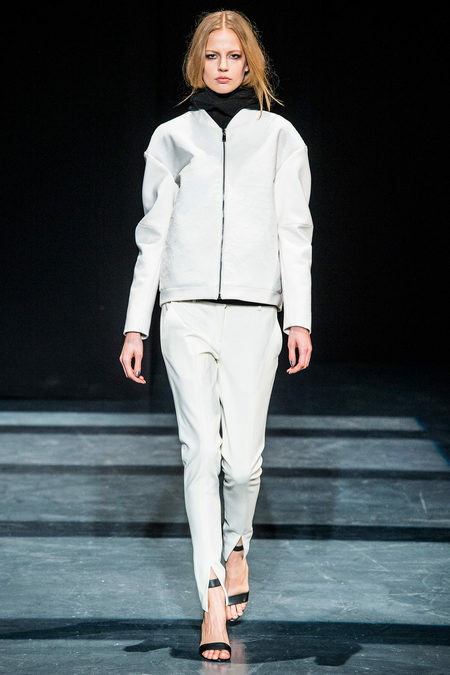 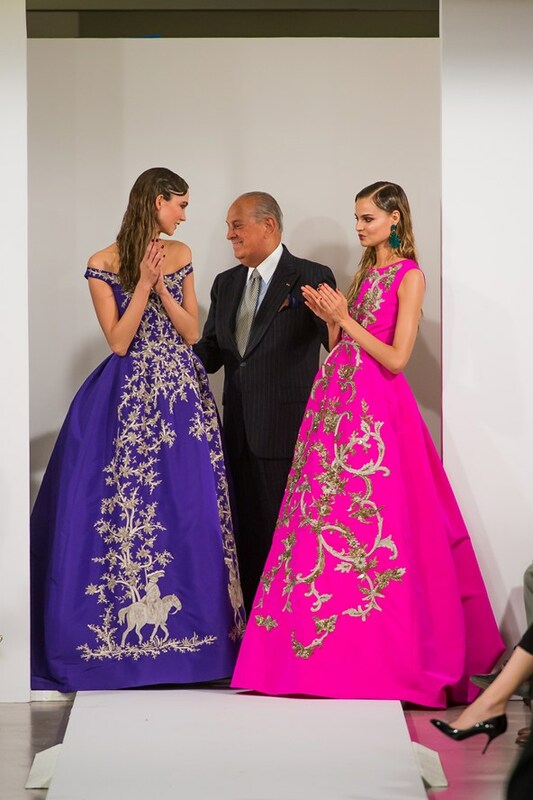 The Thai-born designer is known for his understated sense of luxury and fashionable versatility. 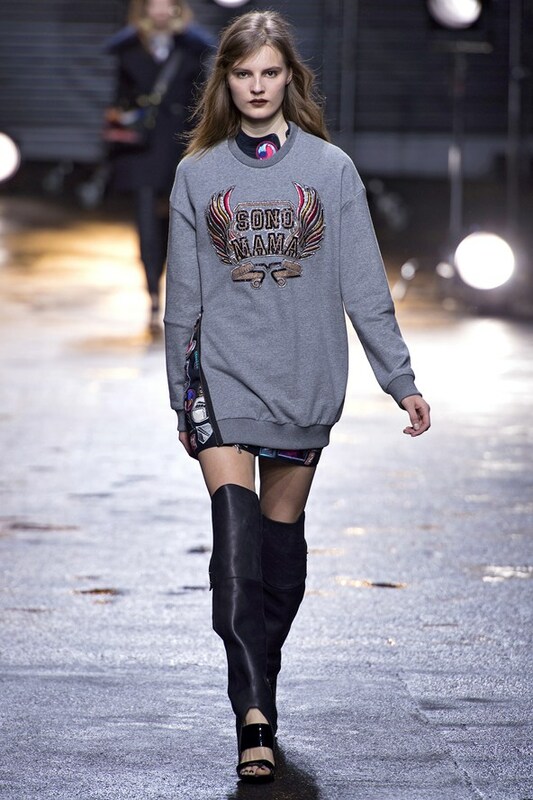 There was a punk element via vampy lips, multiple-studded earrings and customised denim.